Zombie lookout. dis is a zombie it has green skin and a blue hemd, shirt and purple plants. 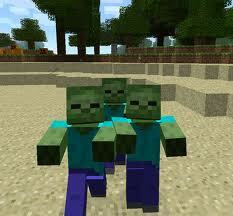 Wallpaper and background images in the Minecrat club tagged: photo minecraft enemies.